Pet food assistance applications due June 5 | love bug foundation inc. 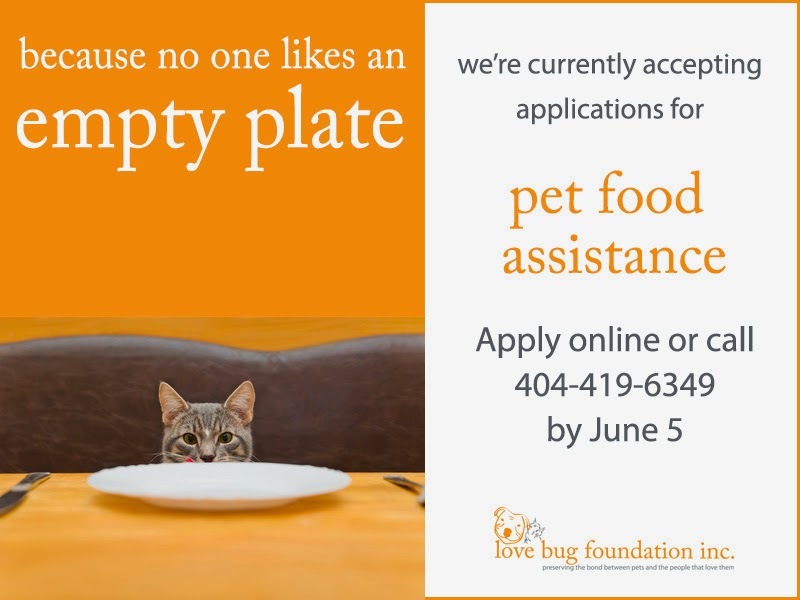 Please remember to submit your applications for pet food assistance by June 5 for the June distribution. Even if you have previously applied for pet food assistance and been approved you are required to call each month to renew your application. Applications are approved on a first-come, first-served basis determined by the current month's supply of food available.